This article examines how policy changes at a range of levels could improve decision making by and initial settlement outcomes for Kiribati migrants, a relatively new migrant group to New Zealand. THOMPSON, Mary; HOWDEN-CHAPMAN, Philippa; FOUGERE, Geoff. Policy changes: Kiribati migration and settlement. Policy Quarterly, [S.l. ], v. 13, n. 2, may 2017. ISSN 2324-1101. 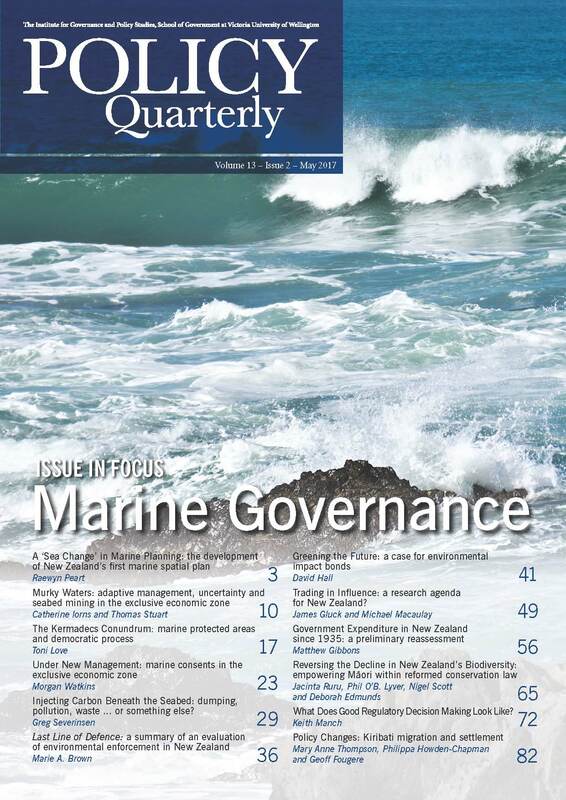 Available at: <https://ojs.victoria.ac.nz/pq/article/view/4716>. Date accessed: 21 apr. 2019. doi: https://doi.org/10.26686/pq.v13i2.4716.